Home decor items are available for purchase at Alpine Landscape and Design's new store in Polson. Joslyn Shackelford discusses fabric options with her clients. POLSON – Spring is finally here and it’s time to start thinking about the outside of your home. 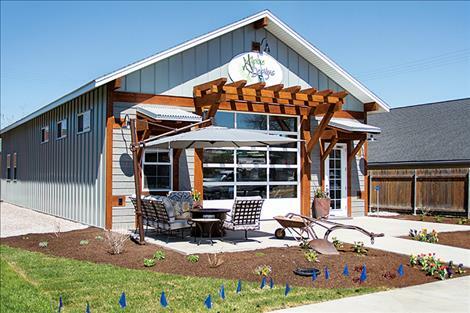 To help with all your springtime landscaping needs, Alpine Landscape and Design is celebrating the grand opening of their new retail center and showroom on May 4. 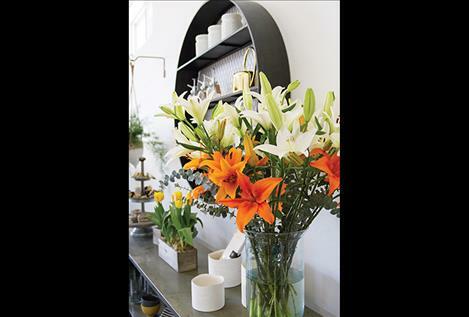 The store, located at 111 Third Street E, will be a unique addition to downtown Polson and offer customers full-service landscape maintenance and design services for creating your landscape and outdoor living space. In addition to landscape maintenance and design services, Alpine Landscape and Design will offer customers home décor, outdoor furniture, gifts, house plants and fresh floral arrangements. 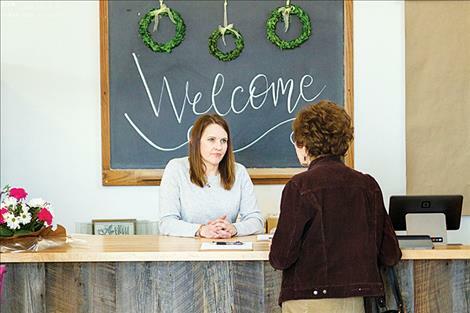 According to owner Joslyn Shackelford, Alpine Landscape and Design has been serving and been adding new services to meet their customers' needs for the last 12 years. Building the new store front gives the business much-needed room to expand and provide a “home” to showcase their products and services. 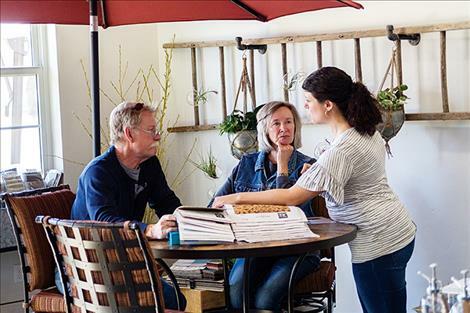 By expanding their outdoor living design and furniture market they now offer patio sets, dining sets, fire pits, outdoor structures, cooking, hammocks and umbrellas; all available through the new retail space. Now that the snow has melted away, let Alpine Landscape & Design bring life to your landscape and outdoor spaces by visiting their new store or giving them a call at 406-319-2229. Alpine Landscape & Design can also be found online at: https://www.alpinelandscapedesign.com, where you can view samples of their previously completed projects, learn more about their current services and specials and fill out a contact form for free a consultation.